Icon and Co's Etsy shop is full of unique, handmade shabby chic furniture. I absolutely fell in love with the distressed, cute style of their furniture and I just had to have my own piece. Icon and Co actually specialise in making all sorts of exciting things including movie props and retail units. Their shop is just beautiful and everything is a one-off! You guys know of my obsession with pink, so some pink shelving was definitely needed in my new house. My favourite style was the "Pembroke" design so I went for that one. 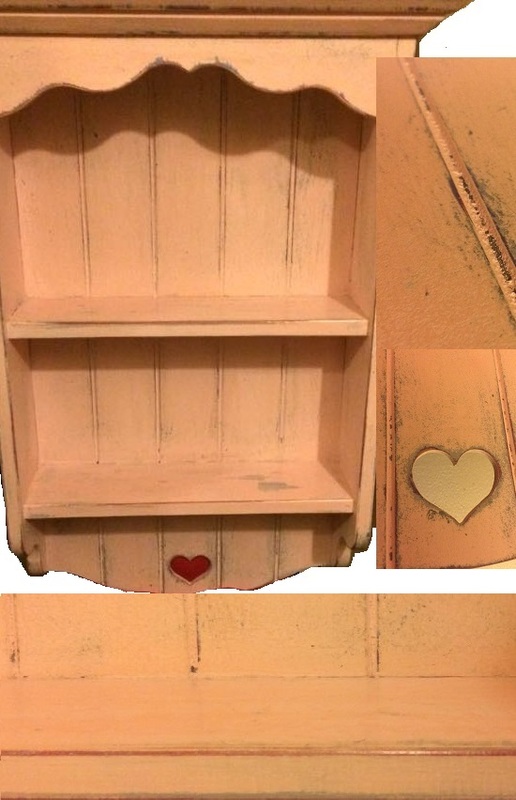 It's a unit with 2 shelves, a pelmet on the top and a cut-out heart at the bottom. It's a French-style unit which I've seen quite a bit of recently. They look absolutely lovely with teacups and other cute bits on display. On to my particular unit, it's painted in a gorgeous pastel pink and it's been lightly distressed to reveal some of the undercoat. I absolutely love this effect, it's precious - it creates such a country kitchen kind of vibe. I'm not actually sure where I'm going to hang this piece though, it would work in any room - not just the kitchen! There's fixing brackets on the back there too so there's no fussing when it comes to hanging it. The piece is just so well made, I can't make any criticism when it comes to how it's assembled or painted. I'm just thrilled! I will be sure to post some pics on here when I move in to my new home and display some cute things on there! I'm in love with my gorgeous pink shelves. 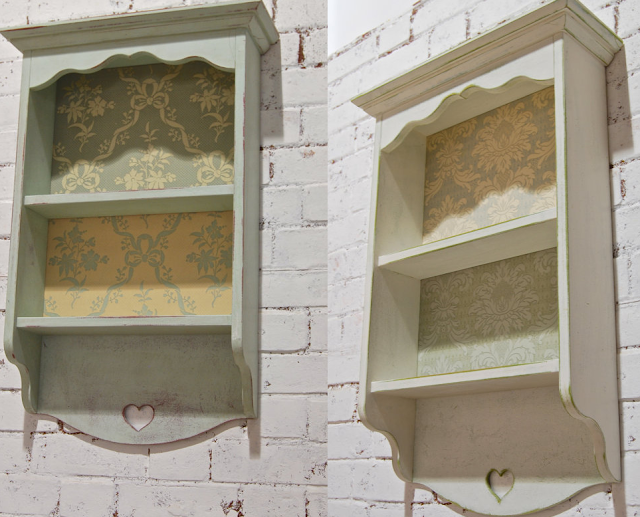 They're so shabby chic and I just want wait to display all my cute bits and bobs on there. Thank you so much Icon and Co Wales for creating such a beautiful piece for me - totally tailor made to my wishes! Definitely check out Icon and Co - their work is mind-blowing - I'm so pleased with my gorgeous piece! Also visit Icon and Co's Facebook here.